Riyad Mahrez says talk of a move to Manchester City in the January transfer window is now behind him and he is focussed on his future at Leicester. Riyad Mahrez admits he has regrets over how his failed move to Manchester City was handled but says he and Leicester City have moved on. The winger confirmed his Facebook account was hacked after a statement appeared to announce his retirement from football this week, just days after scoring his first goal since Manchester City failed with four bids to sign him in the January transfer window. 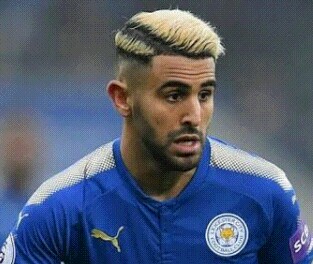 Mahrez denied going AWOL as he missed training for over a week following Deadline Day before returning and featuring in their last four matches. “I was away from here because I needed some time to think, it was a difficult situation,” Mahrez told Sky Sports News. “Manchester City is a good move for everyone but it is the past. It is behind me. If we start talking about this it’s like coming back to the transfer window and now I’m moving forward, trying to give my best for the team. “You’ll always have regrets but at that time I thought it was the best thing to do. “It was difficult, I’ve always been in contact with the club. The club handled it very well. When the team-mates and the club were behind me it was OK, it was very easy to come back here. Mahrez’s 97th-minute free-kick rescued a point for Leicester against Bournemouth last weekend, and the Algeria international insists his mind is “focused on Leicester” and their remaining fixtures. He said he will not reconsider his future at the club until the end of the season. “In football players come, players leave, I’m not saying I’m coming or going,” he added.